Kishani Widyaratna at Picador has acquired UK & Commonwealth rights in print, ebook and audio for 'an extraordinary work of refugee literature' after a heated four-way auction. UK & Commonwealth rights were acquired from Sarah Lutyens at Lutyens and Rubinstein in association the Jane Novak Literary Agency in Sydney. An Iranian Kurdish refugee writer named Behrouz Boochani won Australia’s most valuable literary prize, the Victorian Premier’s Prize for Literature ($100,000), for his book No Friend but the Mountains in January, but was unable to collect his prize in person. This was because the Australian Government is illegally keeping him in detention on Manus Island (PNG) in the Pacific, where he has been trapped for the past six years in legal limbo. 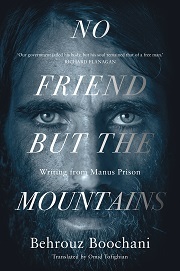 According to the acquisition statement: 'Boochani wrote this extraordinary memoir from captivity via hundreds of secretly tapped out WhatsApp text messages, these were painstakingly organised message by message into a manuscript which was then translated from the Farsi to English by translator Dr Omid Tofighian. 'The result is an astonishing account of what it is to be a refugee today as borders close around the globe. It opens with a deadly boat journey from Indonesia to Australia and then depicts daily life in cruel imprisonment on the island, battling for survival, sanity and dignity in degrading conditions. 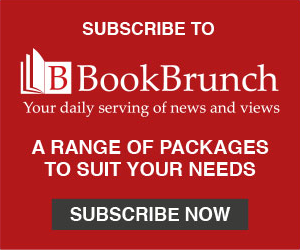 In his prize acceptance speech Behrouz Boochani said: "I believe that literature has the potential to make change and challenge structures of power. Literature has the power to give us freedom . . . I have been in a cage for years but throughout this time my mind has always been producing words, and these words have taken me across borders, taken me overseas and to unknown places. I truly believe words are more powerful than the fences of this place, this prison." Kishani Widyaratna said: "This is the first work of literature to emerge from one of these immigration detention centres which exist the world over and also right here in the UK. This is a book that simply shouldn’t exist and yet it does, thanks to the determination of Behrouz Boochani and everyone involved to shine a light on this struggle. Gripping, moving, profound and heartbreaking, it makes for extraordinary reading. It is a testament to the humanity of all people, even in the most extreme of circumstances. We could not be more proud to publish this important book and want get it into as many hands as possible." Sarah Lutyens said: "From the moment I first read this story I have been desperate for readers here to read it too. It brings the horrific and Kafkaesque experience of a refugee so shockingly to life and does so in the most beautiful way, captivating in its use of language. I think it is a book which will continue to be read for a very long time and I am delighted Kishani and Picador will be publishing it with such passion." Picador will publish as paperback original on 18th April with an audio edition to follow after. Boochani holds a Masters degree in political geography and geopolitics. He is a Kurdish-Iranian journalist, scholar, cultural advocate, writer and filmmaker, founder of the Kurdish-language magazine Weya, and an Honorary Member of PEN International. In 2013, he fled Iran and became a political prisoner of the Australian Government incarcerated in the Manus Regional Processing Centre (Papua New Guinea). He can be found tweeting from @BehrouzBoochani.